Can Vitamin E Help Prevent Scarring? Can vitamin E help prevent scarring or is this just another old wives' tale? Sometimes old wives' tales have their basis in fact, while at other times they really are just myth. Here's what the experts say about using vitamin E oil to prevent scars. Can Vitamin E Help Prevent Scarring Or Is It a Myth? Can vitamin E help prevent scarring? There are clearly two camps weighing in on vitamin E oil, those who believe it does prevent scarring and those who say it does nothing and may in fact lead to other problems such as allergic reactions. 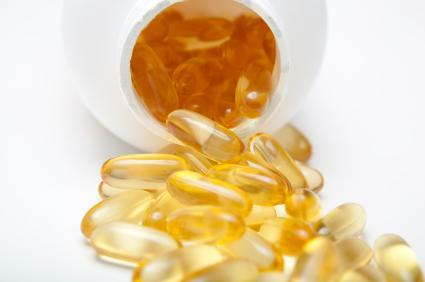 Vitamin E oil can be easily obtained over the counter at the pharmacy. If you can't find bottles of vitamin E oil, you can purchase gel capsules intended for consumption and simply break open the capsule, rubbing the oil onto the skin. But before you do, consider whether or not it's worth it. Several notable alternative health luminaries recommend vitamin E oil after surgery or in other cases to prevent scarring. Dr. Andrew Weil, M.D., a well-known alternative health expert, advises patients to use vitamin E oil after surgery to reduce the appearance of scars. On the other side of the argument, there are several well-known experts who recommend against using vitamin E oil. One of note is the Journal of the American Academy of Dermatology, as quoted on the website The People's Pharmacy. The website quotes a December 2006 issue in which the authors of a study recommended against using vitamin E oil. "…the evidence that topical vitamin E alone improves the cosmetic appearance of scars is poor. It is also associated with a high incidence of contact dermatitis. The use of vitamin E should, therefore, be discouraged." A second report published on CBS News' website also cautions against using vitamin E oil on scars. Like other products such as hydrogen peroxide, using vitamin E oil can actually disrupt the natural healing process and cause scar tissue to form in response to the application of oil, rather than dissolve the bonds that create scar tissue in the first place. Test vitamin E oil before using. Contact dermatitis, or rash, can be a side effect of direct application of vitamin E oil. To avoid a rash, conduct a test panel first. Place a bit of the oil on the inside of your elbow and wait 24-48 hours. If no rash develops, it should be fine to use on the scar if you wish. There are simple things you can do to avoid scars on typical cuts and scrapes. First, never pick at a scab, no matter how much it itches. Picking at a scab breaks open the wound, forcing the body to reseal it with yet another scab. If this is done repeatedly, the body creates thicker tissue to seal the wound, which results in scars. If you've had surgery recently, don't despair over thick, lumpy or raised red scars. Wounds take time to heal. Surgical sites may take many months to heal over completely. When they do, most areas fade to a thin white scar rather than the red and bumpy flesh commonly seen directly after healing. No matter what caused your scar to form, any questions about wound care, scars or preventing scars should be addressed to a physician. Wounds that don't heal after a reasonable period of time should be examined by a physician and deep wounds, puncture wounds, and wounds that won't stop bleeding should be examined immediately by a doctor.